We currently host our own dedicated Teamspeak3 server and joinFS multiplayer server that are accessible 24/7. We also have a virtual airline, hosted by FSAirlines.net. We are currently looking for people to join our ranks as virtual pilots. We are also looking for talented people with background in graphic design that are willing to assist us in personalizing our aircraft and creating addon scenery. 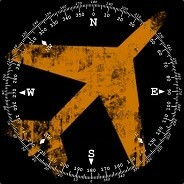 If you are interested in joining our group, please contact JackRiordan by adding him on Steam. Maintenance centers allow you to repair your aircraft at a reduced rate, but a center can only work on a limited number of aircraft at a time. "Games that reproduce or simulate realistic situations and experiences and provides users with outstanding add-on content, DLC, mods, or frequent updates."